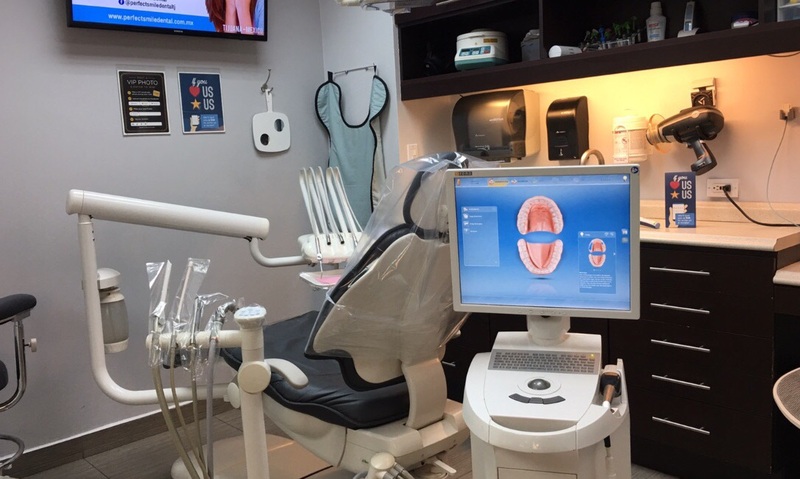 Here atPerfect Smile Dental we like to pamper our patients with the most advanced and ergonomic systems. For this matter all of our operatory rooms have A-dec® 500 Dental Chairs. Thanks to its pressure mapping technology, the unique cushioning of this dental chair reduces pressure points, providing comfortable support across the patient's entire body. Another innovative advantage of the A-dec® 500 is the consideration of the patient's motion. For this, they have added a "virtual pivot" that synchronizes the chair movement with the natural motion of the patient, giving as result no need to readjust when the chair is lowered or raised. "Does this means that the dentists will have to put more effort and get tired faster?" "Should I worry if my dentist gets tired while working in my teeth?" Of course not! We know that the motor of our dental clinic are our dentists, so we take care of them as well. The A-dec® 500 brings ergonomic advantages to the dentists as well. By having an ultra-thin backrest and slim-profile headrest, it provides the dentist to have more leg room under the chair, allowing him to position the patient low enough to gain ergonomic access to the oral cavity with less strain and fatigue. But, is not only about the chair, the delivery system (where the handpieces and hoses are) is also very important for the doctors commodity. For this matter, we integrate A-dec® 500 Continental Delivery System to each one of our dental chairs. It eliminates pull-back on the handpieces resulting in less fatigue. And, by the easy retrievement and return of the handpieces, the dentists don't take focus away from your mouth. Lighting is also importan, so we close the deal by including A-dec® LED Dental Lights. Thanks to its LED technology, it provides illumination that mimics natural light, not affecting the natural color of structures illuminated and flooding the oral cavity with light. The A-dec® LED Dental Light provides the highest level of illumination recommended by dental operatory ergonomic specialists. This uniform light pattern minimizes shadowing and reduces eye strain and fatigue. And, since it does not emit heat or require a fan cooling system, it's quiet and comfortable for both patient and dentist.